Science says we should drink a glass of wine from time to time (in moderation) to harvest all wine benefits for both the mind and the body wellness. Some people avoid drinking wine for the assumed health risks associated with it. Some other people drink wine for a number of reasons such as a social gathering or just to have some moment of an escape of life’s complicated issues. Nevertheless, medical researches and studies confirm that drinking wine in moderate quantities can prove to be beneficial for everyone health wisely. In this sense, those who avoid wine can rest assure that it can, on the contrary, be good for them. Similarly, those who already drink wine can shake off the guilt and enjoy its health benefits. Yet, the key word here is of course “moderation”. The moderate wine consumption differs from women to men. The average quantity of wine for women, for example, is lower than men. Women absorb alcohol rapidly because of their body nature which it allows lower body content and also because of the lower different levels of stomach enzymes. Thus, the ideal moderate of wine for women is one glass per day. As for men, the average recommended quantity is two glasses of wine per day. Wine is defined as an alcoholic drink made from fermented grape juice and which is usually available as red and white wine. The two active ingredients that make wine health friendly are antioxidants and resveratrol. They are well known for their health benefits particularly for diabetes and heart diseases. However, there are plenty of other wine benefits for each and everyone. There are a lot of benefits in drinking wine in moderation. Researches revealed that wine is good for memory preserving for both men and women while aging. It simply added years to brain’s life and make it younger. More noticeably, it lowers risks of memory-related disease like Alzheimer with a percentage of 80% and Dementia. Researches point out the advantages of wine for weight loss as it effectively lowers the body mass. For this purpose, a glass of wine is best drank before going to bed. 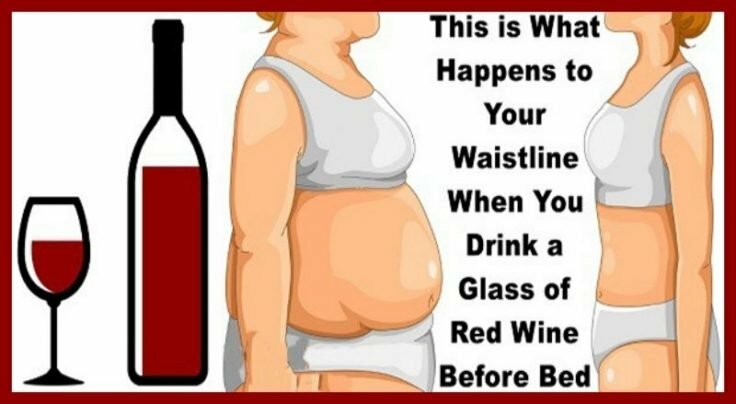 Studies found out that those who drink a moderate quantity of wine on a daily basis, their risk of becoming obese is lessened. However, drinking wine shall be accompanied by exercises and not at all to substituted sporting with drinking. Wine helps in improving body’s defenses against Helicobacter pylori bacteria that is one of the major causes of gastritis, ulcers, and stomach cancers. Moreover, it protects the body against salmonella bacteria that is responsible for food poisoning. The 50% difference between women who have ovarian cancer and those who have not, is a glass of red wine every day. The active properties responsible for killing cancer cells are the antioxidants and phytoestrogens. Also, red wine lowers risks of breast cancer for premenopausal women as it reduces estrogen levels while increasing testosterone levels. Those who drink wine regularly have better bone mass than those who don’t. This happens through stimulating estrogen levels in the bones as it slows the process of old bone destruction. Researchers found out that 40% of premenopausal women who drink wine regularly have fewer chances of developing type two diabetes, as it reduces insulin resistance. It also decreases the risks of cardiovascular events in type 2 diabetes. Resveratrol is the key ingredient in wine that protects blood vessels from damage, prevents blood clots, and reduces the bad cholesterol or as referred to low-density lipoprotein (LDL). Wine also reduces risks of heart attacks and strokes in general. Researches proved that red wine has the ability to stop the uncontrolled growth of blood vessels in the eyes which are responsible for blinding diseases. This is particularly true for diabetic retinopathy and macular degeneration. Researches also reveal that drinking wine can help in fighting the common cold which is a less frequent health problem but one that is extremely annoying and tiring. Interestingly, the wine develops a strong immunity against 200 viruses that trigger the ailment. Red wine in particular with its high concentration of antioxidants properties such as polyphenols and resveratrol prove to weep out radicals that cause aging and age-related disorders. Thus, wine makes skin glow, look younger and even adds years to skins life cycle. A glass of red wine before going to bed reduces the level of stress and anxiety and encourages the nerve system to relax. Wine is known as a nervous system depressant. And by reducing stress it doesn’t only reduce depression, but it also prevents it. As shown above, wine benefits are numerously for several health concerns ranging from heart, brain, cancer diseases up to flu, skin care, and stress. However, the most important point to consider is to not overdo it but to be used as a Mediterranean diet and to always stick to the moderate recommended quantities. In short, both wine drinkers and abstainers are encouraged to include wine beverage in their routine diet to harvest all wine benefits for both the mind and the body wellness. If you enjoyed this list with top 11 wine benefits, please share it with others and spread the wealth. Stay fit!